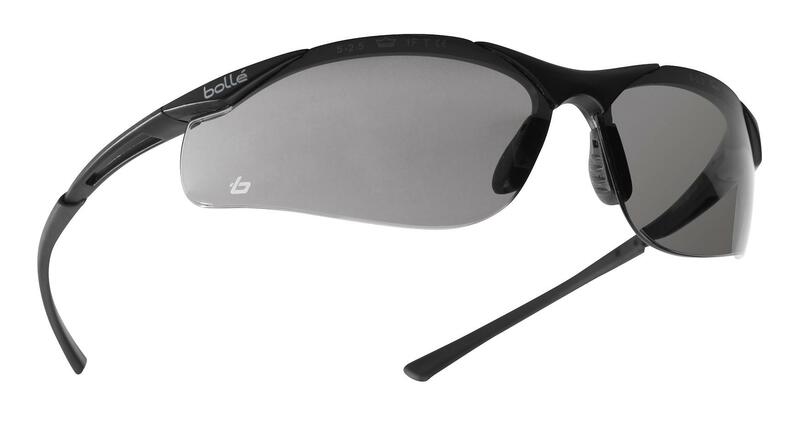 Bollé CONTOUR Contpsf anti scratch/fog smoke lens Spectacle, 21 g of strength, sturdy, protective, stylish, comfortable and lightweight. Adjustable bridge. Designed to adapt perfectly to your nose so the frame sits perfectly on your face. The non-slip TIPGRIP technology ensures a better fit thanks to its dual-material design and innovative shape, improving temple comfort and hold.